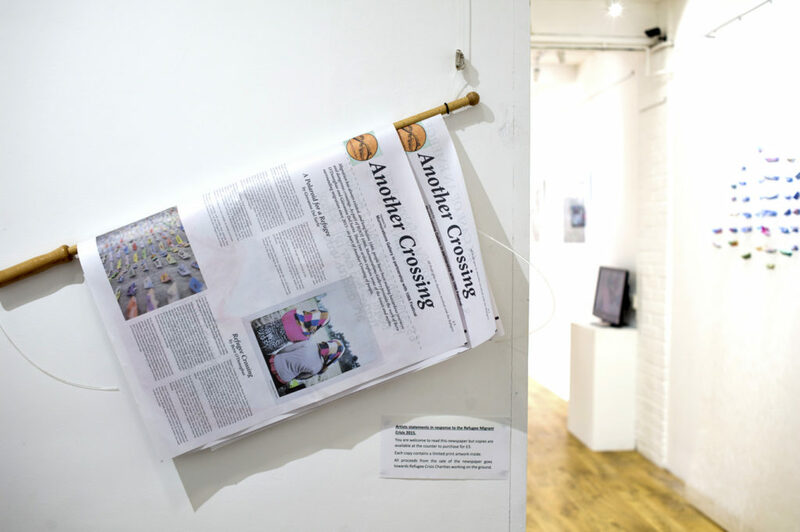 This month, we’re proud to sponsor Another Crossing, a joint exhibition from photojournalist Giovanna Del Sarto and artist Bern O’Donoghue exploring challenges faced by refugees and asylum seekers. 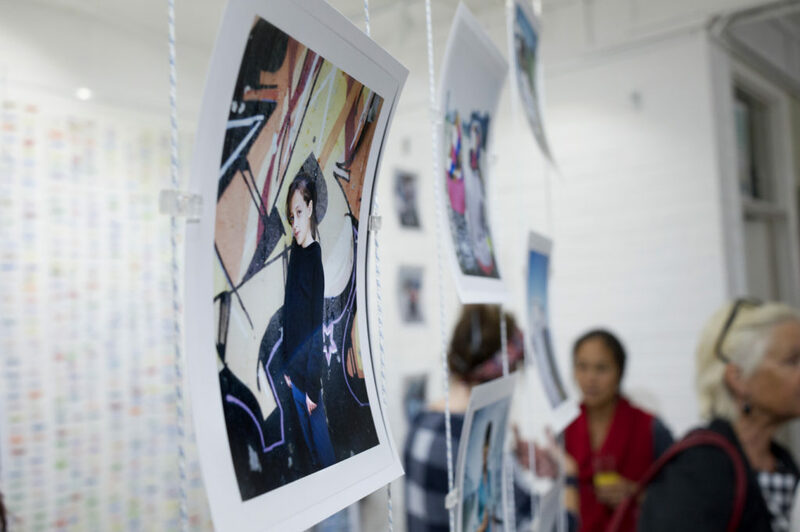 Del Sarto’s portrait project, Polaroid for a Refugee, was inspired by her volunteer work in refugee camps. 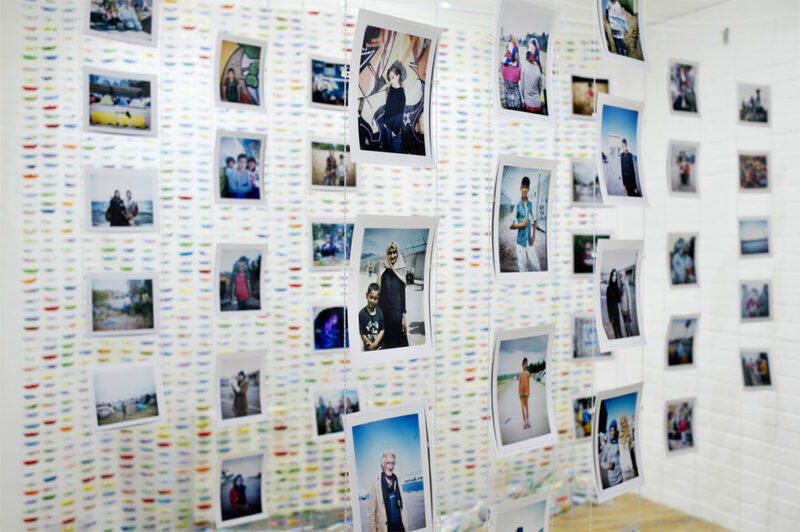 “I took photos of the refugees as they were arriving in dinghies and this is how the project was born,” she says. Some of the refugees had never seen a Polaroid before, so Del Sarto began offering the photographs as a keepsake. “They are coming through a long journey. They can look back on it and remember the time when they arrived.” On the back of each image she wrote: "Wherever your destination may be, tell me when you feel you have reached a safe place." O’Donoghue’s Refugee Crossing aims to counter myths about migration by sharing facts via handmade paper boats. 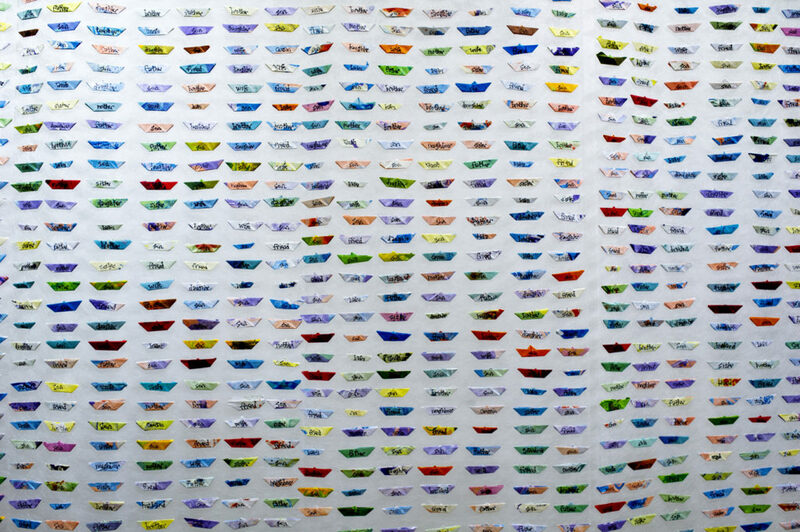 Her grassroots flotilla of over 8,000 boats, placed in public spaces around the world, serves as a reminder of the prejudices surrounding migration. Presented by Murmurations Gallery as part of ROOT1066, the interactive installations that make up Another Crossing invite visitors to “reconnect to the human story of migration." A digital broadsheet exhibition catalogue is for sale for £3 – all proceeds support CERST, a charity working with refugees in Chios Island in Greece. Another Crossing is on display now through 2 October 2016. Murmurations Gallery will be hosting workshops and talks related to the exhibition throughout September. Visit the gallery’s website for dates and information.